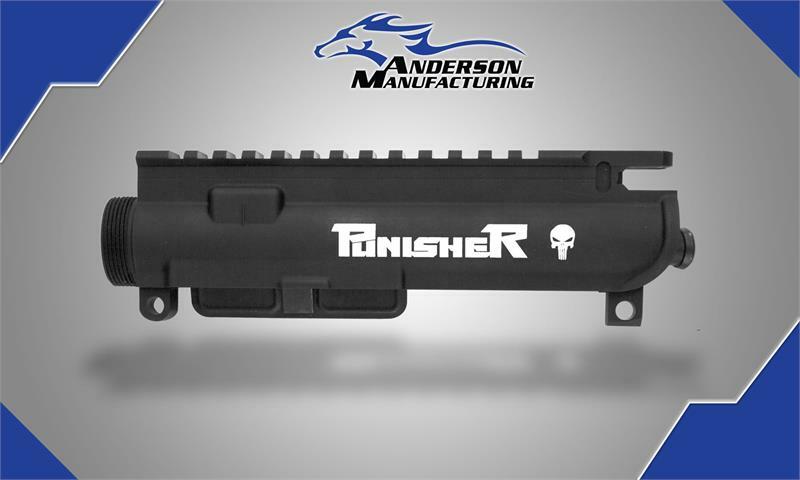 The “Punisher” Assembled Upper Receiver comes with the dust cover and forward assist already installed. 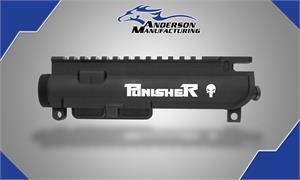 The Punisher Logo and word Punisher is laser engraved on the left side of the upper receiver. This upper is machined from 7075 T6 Aluminum forging. Featuring M4 feed ramps, this upper receiver is machined to Military Specifications & Standards and can be used with multiple calibers on the AR-15 platform. This upper receiver comes in type III hard coat black anodize for extreme durability.